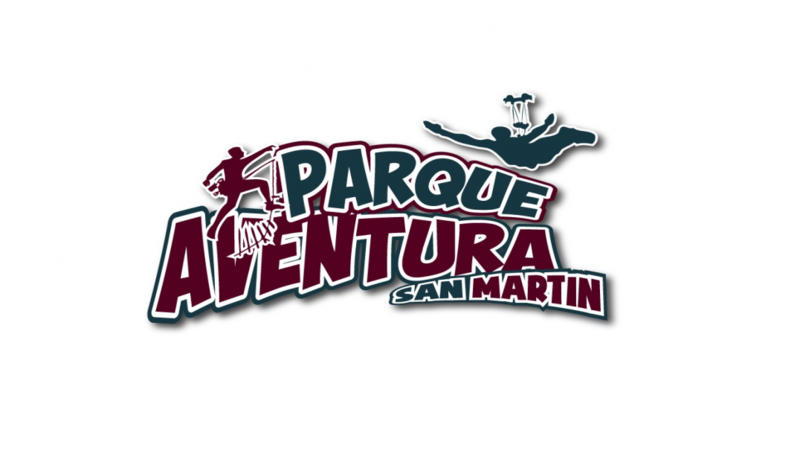 Our Basalto Extremo tour has merged all the activities you can do in our San Martín Adventure Park. Come enjoy an unforgettable experience, we offer extreme adventure, but above all we offer 100% security. Always watch our camera to save your memories in a photograph, consult our guides about your photographs ...! In order to start the activities of the extreme basalt circuit, we begin by releasing the respective EPI (personal protective equipment). We work with tourists from 12 years and over and with a weight limit of 240 pounds or 110 kg according to the latest regulations in adventure sports. We put on a saddle harness, with double security line and self-locking carabiners that carry their respective energy dissipator, which is used in the security line of the Tibetan bridge and the via ferrata, they are placed their respective approved helmet. 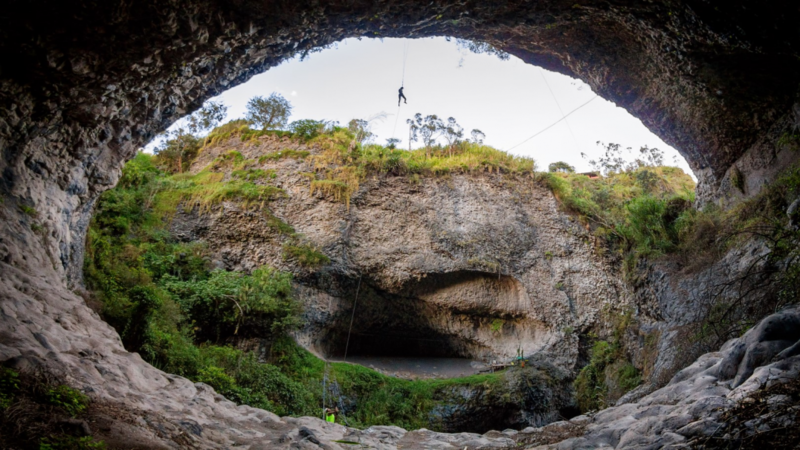 To start with the first activity that is a 60 meter dry guided rappel which begins the descent from 100 meters above the river level and reaches about 40 meters above the river level to a natural basalt cave, this activity has An extra rope that is controlled by the guide, we enter inside the mouth of the Pastaza river. 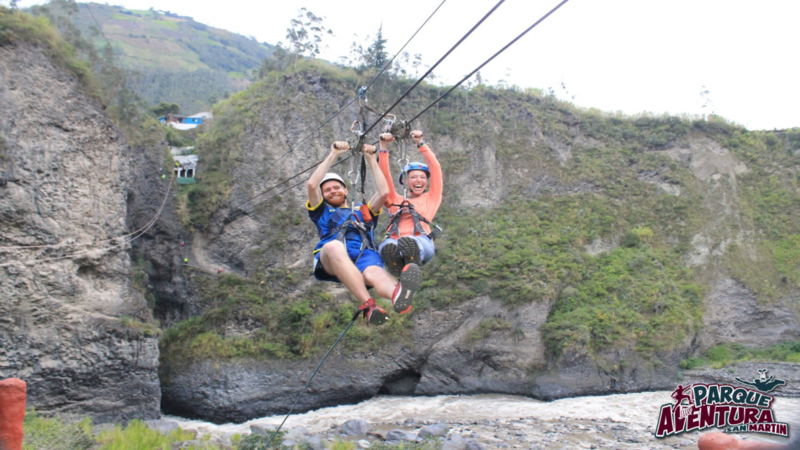 At the beginning of the second activity, which is the Tibetan three-wire bridge, which is 50 meters long, which is suspended above the San Martín canyon, 40 meters above the river, the guides indicate to the tourist the instructions and proceed to engage The safety lines and continue walking taking about 5mts distance between each person. The group meets for a few minutes in the natural basalt cave that we have at the end of the second activity. 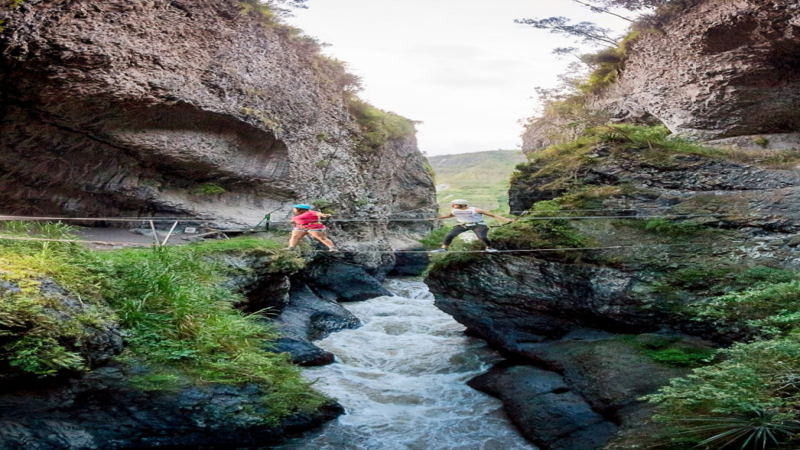 At the beginning of the 90mts long Tibetan bridge, which is suspended above San Martin's canyon, 40mts above the river, the guides remind the tourist of the instructions and proceed to hook up the safety lines and continue walking with about 5mts Of distance between each person. At the end of the bridge the group meets and is instructed again how to use their equipment to ascend the via ferrata which is the fourth activity. 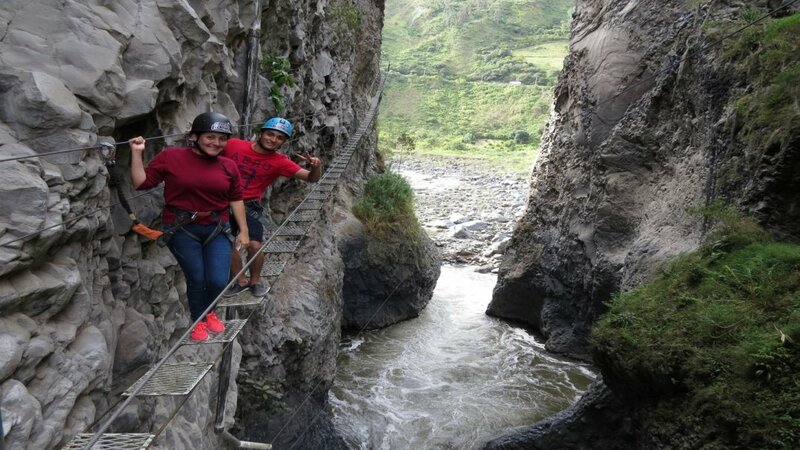 Via ferrata has a distance of 90mts, which consists of steps embedded in the rock, we started from 40mts and reached 130mts above the river level, is sent to each tourist with about 3mts distance between them, a guide Forward and the other at the end. 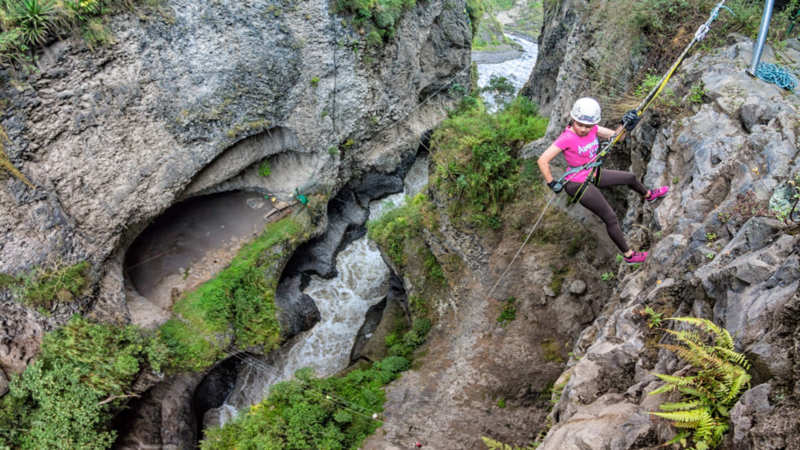 At the end of the ferrata route the guide removes the equipment to all the tourists and culminates the circuit with a tarabita route that crosses over the San Martín canyon formed by the Pastaza River, at the other end.